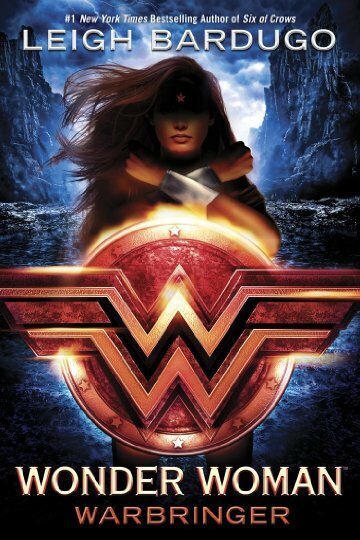 The highly anticipated, entirely new coming-of-age story for the world's greatest super hero: WONDER WOMAN by the # 1 New York Times bestselling author LEIGH BARDUGO. She will become one of the world's greatest heroes: WONDER WOMAN. But first she is Diana, Princess of the Amazons. And her fight is just beginning. . . .
Alia just wanted to escape her overprotective brother with a semester at sea. She doesn't know she is being hunted. 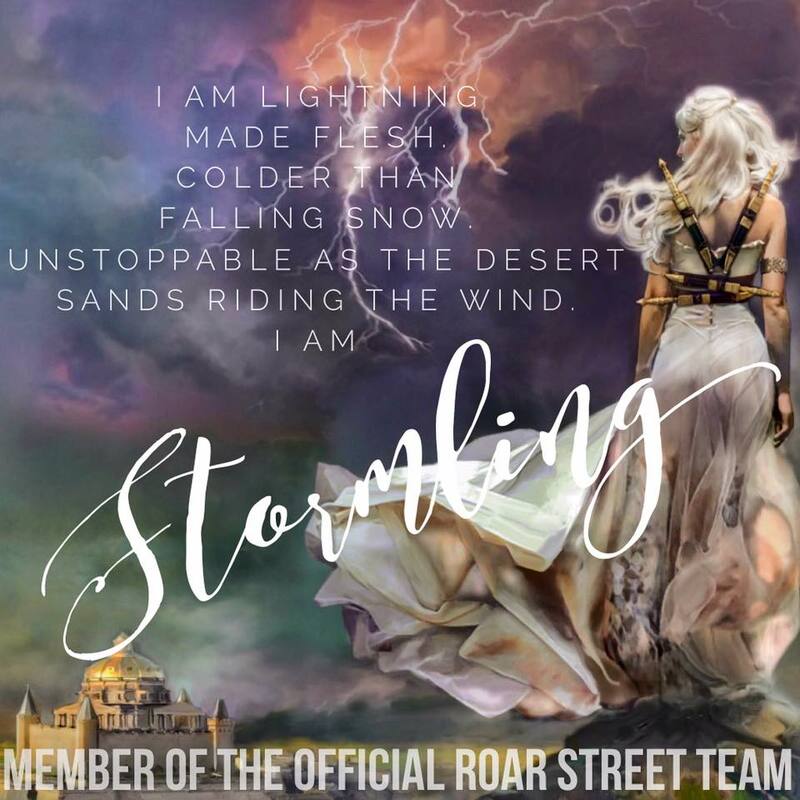 When a bomb detonates aboard her ship, Alia is rescued by a mysterious girl of extraordinary strength and forced to confront a horrible truth: Alia is a Warbringer—a direct descendant of the infamous Helen of Troy, fated to bring about an age of bloodshed and misery. "It's the people who never learn the word impossible who make history, because they're the ones who keep trying." I've always had such a girl crush on Wonder Woman and what she stands for. Reading the comics as a kid, watching the old TV shows with Linda Carter, and the new Wonder Woman movie was the icing on the cake. (If you haven't seen it yet...it is a must!) 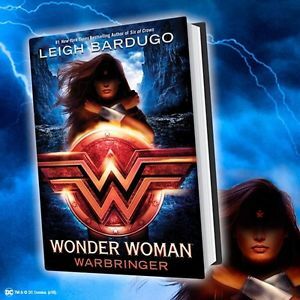 So when I heard that Leigh Bardugo was writing her own Wonder Woman story, I knew I had to get my hands on this book. "We can't help the way we're born. We can't help what we are, only what life we choose to make for ourselves." Jumping into this book I felt like a kid in a candy store. There was no holding back my excitement! The book starts a little slow due to the circumstances Diana is facing. But things quickly start to heat up when Alia...a human girl lands on the Amazon's home of Themyscira. Alia brings something terrible to Diana's hometown and Diana has to figure out how to stop this destruction from affecting her home or her people. 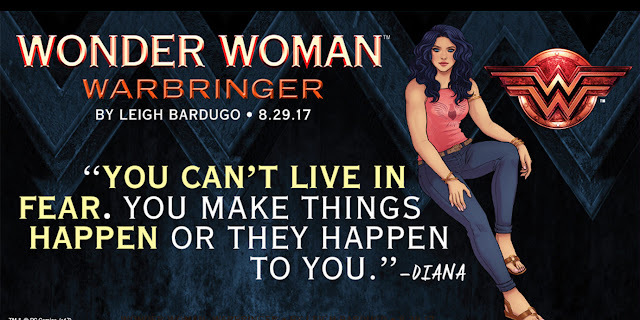 Diana quickly finds herself heading to the mortal world to help Alia in stoping what's in her blood...a Warbringer. Alia is meant to bring war and destruction to the world but with the help of Diana, and her friends she wants to stop this from happening. But it won't be easy and they will be tested in ways they never thought possible. "Sister in battle, I am shield and blade to you. As I breathe, your enemies will know no sanctuary. While I live, your cause is mine." There were so many twist and turns in this book that I loved. I found myself figuring the story out and then it all changing in just a couple of pages. This story keeps you on the edge of your seat and questioning everyone. Though I did love this story and the journey of these characters, the story fell flat in just a couple areas for me. But other than that it's a solid, fun, adventure read. Leigh Bardugo is a #1 New York Times bestselling author of fantasy novels and the creator of the Grishaverse. 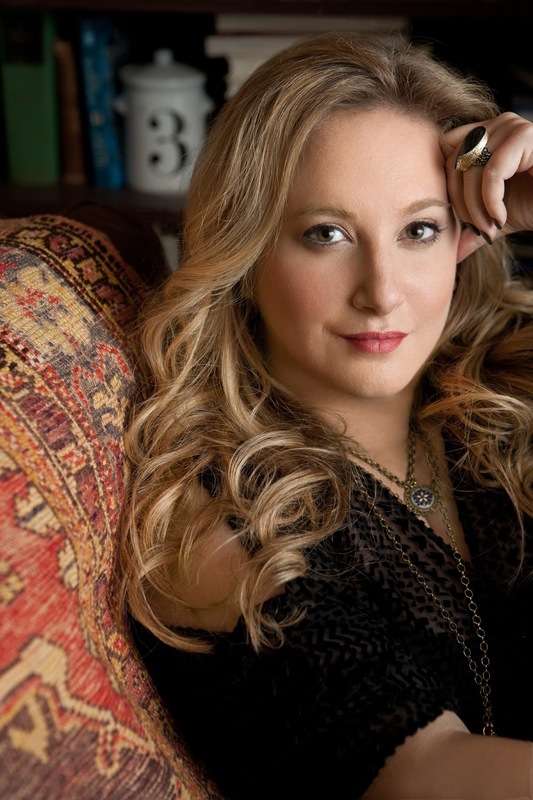 With over one million copies sold, her Grishaverse spans the Shadow and Bone Trilogy, the Six of Crows Duology, and The Language of Thorns— with more to come. Her short stories can be found in multiple anthologies, including The Best of Tor.com and the Best American Science Fiction & Fantasy. 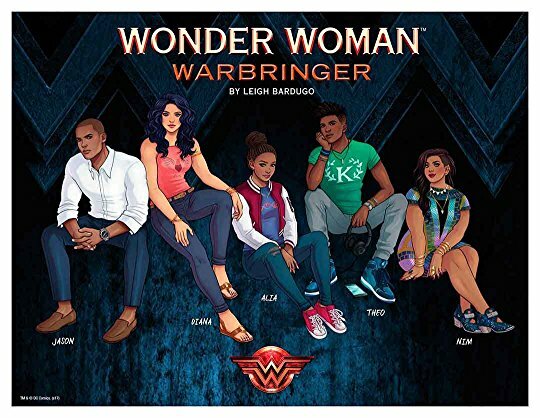 Her other works include Wonder Woman: Warbringer, and the forthcoming Ninth House. Leigh was born in Jerusalem, grew up in Southern California, graduated from Yale University, and has worked in advertising, journalism, and even makeup and special effects. These days, she lives and writes in Los Angeles, where she can occasionally be heard singing with her band.